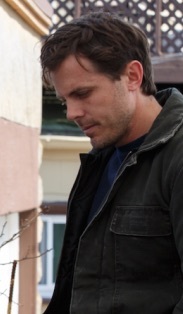 Lee (Affleck) is a brooding, taciturn loner who works as a handyman for a Boston apartment block. The death of his beloved older brother (Chandler) saddles him with the unexpected responsibility of raising his nephew Patrick. 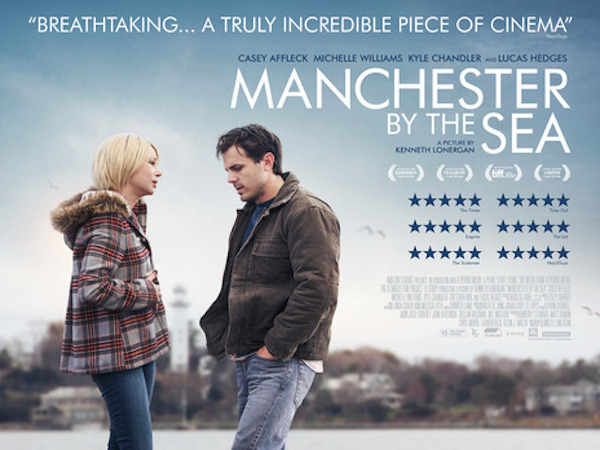 Taking leave of his job, Lee reluctantly returns to Manchester-by-the-Sea to care for Patrick, forcing him to confront an unspeakable (and unspoken) past tragedy which caused him to separate from the local community and his wife (Williams). The third feature by You Can Count On Me director Lonergan, Manchester by the Sea boasts masterly performances from Affleck and Williams. Here are links to Reviews from The Guardian and the New York Times . Going by subsequent reviews and commentaries on the film on Radio 4, the original (***) Guardian review I was going to link to seems to have missed the point, whereas the New York Times ‘gets it’ – in a very long and wordy review…. But in our ‘1984 Ministry of Truth’ world the Guardian has recanted, recently posting the enthusiastic (*****) appraisal linked above. Post-truth or what? Lee (Affleck) is a brooding, taciturn loner who works as a handyman for a Boston apartment block. The death of his beloved older brother saddles him with the unexpected responsibility of raising his nephew Patrick.